Movie “mash-ups” are a hallmark of our Postmodern era. It is as if everything that has come before in cinema has been collectively smashed into pieces, and filmmakers freely pick up whatever shards they like and combine them to make something new. It doesn’t matter if the pieces are recognizable, nor is it necessary to justify the appropriation by calling it an “homage.” This is, arguably, how it should be. Each generation redefines the culture on their own terms, and it has always been standard practice for artists to “borrow” from those who have exerted a strong influence over their own work. However, when they are not driven by a cohesive vision that makes the whole greater than the sum of its parts, far too many films fall short, no matter how sincere their creator’s intentions may be. Unfortunately, “Midnight Special,” the newest feature from writer/director Jeff Nichols, is one of them. Drawing heavily on the work of Steven Spielberg in his heyday, it combines several genres- chiefly science fiction and family drama- to tell the story of Alton (Jaeden Lieberher), a boy with mysterious powers who has been kidnapped by his father, Roy (Michael Shannon), from the compound of a religious cult that believes he is their only hope to survive the imminent apocalypse. With the help of an accomplice, Lucas (Joel Edgerton), the fugitives flee across the country in an attempt to reunite with the boy’s mother (Kirsten Dunst) and journey towards a mysterious destination to which Alton’s visions seem to be leading them- all the while trying to stay ahead of the cult’s operatives as well as a government task force, spearheaded by Paul Sevier (Adam Driver), that wants to find Alton for reasons of their own. There are a lot of threads to follow in “Midnight Special.” Nichols takes his time unraveling them for us, and doles out information sparingly as he goes. In the first few minutes, he effectively introduces us to the main elements of his premise; from this point on, however, his film develops into a continuing series of complications, each one serving only to lead to the next, while offering only the merest scraps of information about the deeper mystery at the heart of the proceedings. By the time we get to the big revelation- which is simply announced to us, somewhat anti-climactically- we have already been led through so many confusing turns that it’s difficult to still be invested in the outcome. Of course, anyone familiar with Spielberg’s “Close Encounters of the Third Kind” will sense from early on where the story is going. “Midnight Special” has so many echoes of that classic (among others) that it is hard not to compare the two works. To go into detail about the connections would spoil the current film, but it is worth noting that the things that make Spielberg’s movie so memorable are painfully absent here. The sense of adventure is replaced by a feeling of impending doom; and although both movies center on families threatened and pulled apart by momentous events, “Close Encounters” nevertheless manages to be joyous and fun while “Midnight Special” struggles to stay just this side of despair. It’s fair to say that they are different movies from different eras, but one still cannot help but think that Nichols movie takes itself far more seriously than needed. It’s not the fault of the cast, who mostly deliver heartfelt performances. Young Lieberher is engaging and likable while still managing to be suitably grave. As his adult protectors, Shannon, Dunst, and Edgerton all play admirably against sentimentality, and if they come off as unrelentingly dour it seems more a function of the script and direction than the integrity of their work. As the cult leader, the venerable Sam Shepard (whose presence underscores strong parallels with another vintage film, Daniel Petrie’s “Resurrection”) provides understated sorrow instead of predictable menace. 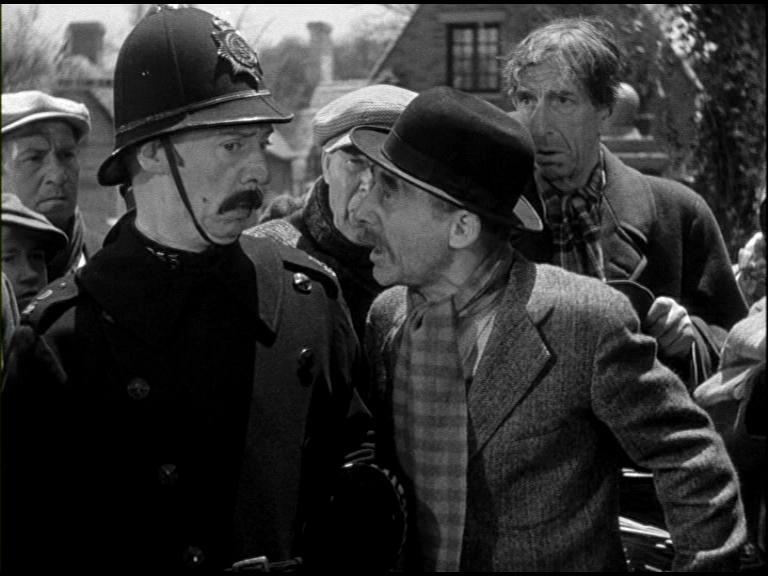 The standout performance, though, comes from Driver, whose turn as the government expert trying to unlock Alton’s secrets evokes the wonder and excitement so sorely missing from the rest of the film. His screen time is all too brief. “Midnight Special” is not a complete failure; it offers an intriguing exploration of the way that belief- whether in religion, science, or worldly concerns- can keep us blinded to truths that lay outside our understanding, and it avoids pandering to its audience with easy answers or familiar clichés. In the end, though, there is little payoff for these ruminations, and the movie leaves us wondering far more about the details of its plot than the implications of its ideas. It disappoints us more than it challenges us- and considering the sources from which it draws its inspiration, it is a strong disappointment, indeed. 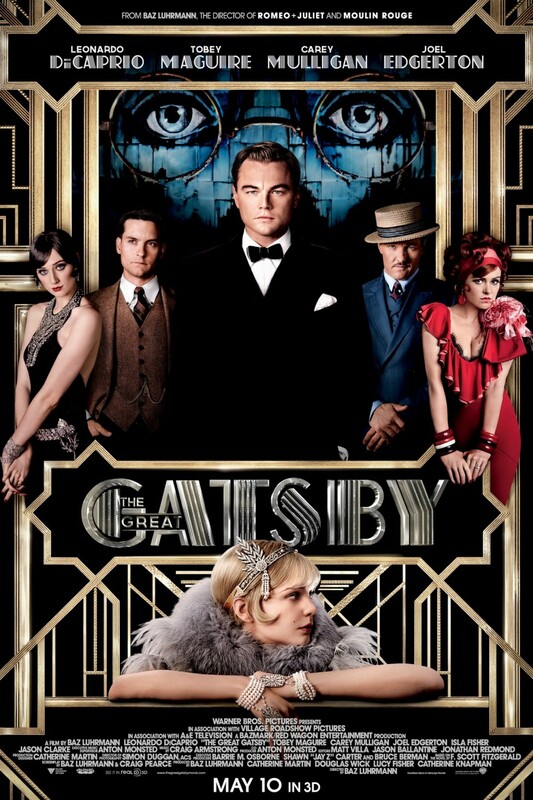 Today’s cinema adventure: The Great Gatsby, director Baz Luhrmann’s appropriately extravagant 2013 screen adaptation of F. Scott Fitzgerald’s iconic “Great American Novel” about an enigmatic millionaire at the center of New York’s Jazz Age social whirl and the intrigues and entanglements which surround him at his Long Island estate. 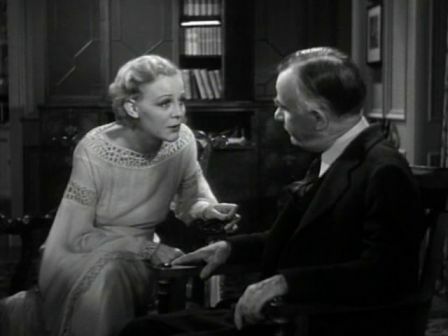 The fifth film to be based upon the classic book and arguably the most ambitious, it takes special pains to recreate the giddy, opulent atmosphere of the “roaring twenties,” as well as making a direct connection to the contemporary party culture through its interpolation of modern pop music, and striving to translate the story’s introspective style into a strong visual narrative. Buoyed by the box office appeal of its star, Leonardo DiCaprio, and Luhrmann’s reputation for making wildly eccentric- and hugely successful- films that combine high art with pop culture (Romeo + Juliet, Moulin Rouge), it has met with considerable box office enthusiasm. Reactions, however, have been dramatically mixed, from critics and the public alike, ranging from enthusiastic praise to vehement antipathy. The screenplay, by Luhrmann and Craig Pearce, frames Fitzgerald’s plot as a flashback, told by the depressed and alcoholic Nick Carraway- the novel’s narrator- as he receives treatment in a sanitarium. In the summer of 1922, the young war veteran moves to New York to work in the booming stock market. He rents a small cottage in an affluent Long Island community, near his cousin, Daisy, and her wealthy husband, Tom Buchanan; a far more intriguing neighbor, however, is the mysterious Jay Gatsby, whose palatial mansion next door to Nick is the site of spectacular parties at which New York’s “glitterati” cavort each weekend, and whose origins are the subject of many wild and conflicting rumors. As the summer progresses, Nick becomes entwined in the affairs and intrigues of the wealthy social whirl that surrounds him; he is “fixed-up” by Daisy with professional golfer Jordan Baker, he is made an unwilling confidante and accomplice in Tom’s infidelities with working-class housewife Myrtle Wilson, and he eventually receives an invitation to one of Gatsby’s parties. 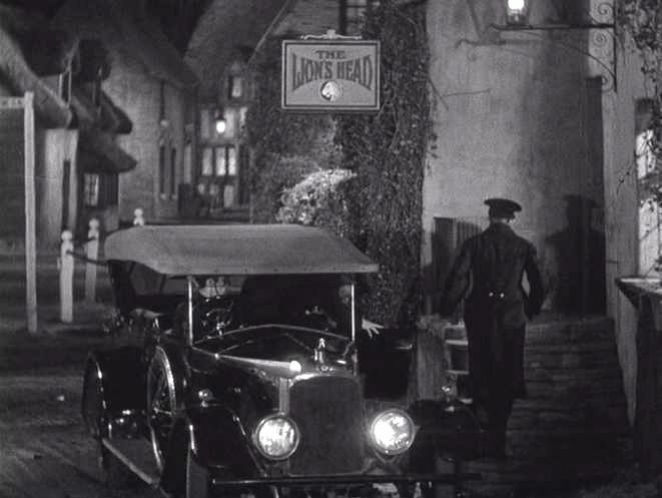 There, surrounded by the free-spirited excesses of the Jazz Age- flappers, movie stars, musicians, gangsters, politicians, and businessmen, all mingling together in a seemingly endless sea of illegal liquor- he finally meets his infamous neighbor. Gatsby- who is surprisingly young, handsome, and courteous- is a man possessed of a singular and intangible charisma, to which the idealistic Nick is immediately drawn; the millionaire courts his friendship, taking care to establish his own integrity. In time, Gatsby reveals that five years previously, as a soldier preparing to depart for the war, he had a brief romance with Nick’s cousin Daisy, and though he promised to return and marry her, he kept himself apart while amassing his fortune; unwilling to wait indefinitely, and presented with a proposal from the rich and handsome Tom, she married, and now her former lover hopes to win her back- with Nick’s help. Though he has mixed feelings about the morality of the situation, Nick agrees to facilitate a reunion between the pair, and their passion is rekindled- but Gatsby’s noble optimism may not be enough to overturn the jealously guarded status quo of the privileged elite, and the surfacing secrets of his past may shatter the spectacular dream he has so carefully built upon them. Fitzgerald’s novel, a labor of love for the struggling author whose earlier successes were behind him and who was actively striving to create a lasting and definitive work, was a commercial and critical disappointment when it was published in 1925; it was seen as a shallow and inferior book by a formerly great writer, and by the time Fitzgerald died fifteen years later, it was largely forgotten, except by those who saw it as a quaint and nostalgic period piece, and its creator went to his grave believing himself and his magnum opus to be failures. In the disillusionment of the post WWII era, however, the book’s theme of naive optimism crushed by cynical reality began to take on a new resonance, and The Great Gatsby rose to prominence as one of the quintessential American novels, eventually being ranked by literary critics and scholars as one of the most important books of all time and becoming standard curriculum in high school English classes the world over. In the nine decades since its publication, it has become increasingly noted for its timelessness; it possesses a quality of universal relevance, for within the highly specific time and place of its setting it tells a story that touches on experiences of human life that exist in any era. Consequently, like most great novels, it has repeatedly found its way in front of the camera, and though it’s hard to accurately gauge the relative success of these cinematic incarnations- the original silent version from 1926 is now considered a lost film, and the 1949 remake with Alan Ladd is largely unavailable due to copyright issues- the consensus seems to be that the results have been more or less disappointing. Anyone familiar with the book itself will find this unsurprising; much of the story’s depth and power comes not from the events of its plot but from the private observations of its narrator, Nick Carraway, through which Fitzgerald’s voice infuses Gatsby’s tragic tale with meaning and significance, as well as providing acute insights on human nature, complex ethical and philosophical ideas, and a fairly sizable portion of social and cultural commentary. Besides the obvious and uninspired use of voice-over narration, this crucial element of The Great Gatsby has proven virtually impossible to translate to the visual medium of cinema without sacrificing most of its potency- until now. With Baz Luhrmann behind the camera, this previously insurmountable obstacle becomes instead a means by which to transform a literary masterwork into a breathlessly cinematic experience; rather than taking the expected course of offering a dramatization of the outward events of the plot, thereby rendering extraneous the all-important narration, he has constructed his film as a visualization of Nick’s memories and impressions, thus filtering the story of Gatsby’s idealistic quest through his eyes, and making the movie- like the book- a reflection of his internal reality rather than an objective record of events. In doing so, the director frees himself from the understated simplicity of the novel- one of its most admired strengths- and allows for a limitless influx of the over-the-top theatricality which has defined his career. The narration has been restored to its rightful place as the key component to experiencing the story, and Luhrmann employs the tactics of modern filmmaking to bring it into sharp focus, translating literary conceits into clear, striking imagery without regard for maintaining an illusion of realism. It’s a bold approach, and a canny one, for while the book’s sedate detachment is a springboard for the reader’s imagination into the passion and drama beneath the surface, such a technique is better suited for the page than for the silver screen; by making the kind of florid, outrageous choices for which he is famous, Luhrmann uses aural and visual stimulation to bring about a heightened emotional state in a more directly visceral way. The end result is the same, but the style which brings it to us is, appropriately enough, purely cinematic. To describe the world Luhrmann conjures for The Great Gatsby in detail would be an overwhelming task, but anyone familiar with his elegantly excessive sensibilities can easily imagine the result of bringing them into a recreation of the Jazz Age, an era of such noisy and self-indulgent flourish that even the most flamboyant exaggeration cannot be said to go too far. The screen is filled with a maelstrom of period fashion and design, meticulously realized and embellished with all the high-tech magic of a 21st-Century production. The filmmaker seeks to over-saturate us, not simply in order to magnify our emotional response but to simulate, as much as possible, the giddy energy of the period’s amplified lifestyle, making it clear that every speeding car, frantic dancer, and crowded speakeasy is a pointed and obvious metaphor for the reckless mindset of the age. The camera zooms and twirls through crowds of dancing, reveling party people, piecing together its imagery with a mosaic of rapid cuts and juxtaposed images and making the film’s first two thirds feel like an ongoing bacchanalia; even when the scene changes- to luxurious estates, sumptuous rooms, bustling offices, and (in all their CG-rendered glory) the glittering streets and skylines of New York City- there is a constant sense of urgent movement, providing an appropriate and irresistible feeling of pushing forward to whatever spectacular experience comes next. In this way, Luhrmann manages to capture the heady, progressive character of the twenties, with all its lax morality and blasé sophistication, in a much more tangible way than most previous films about the period, which often fall prey to a tendency towards the stiff and pretentious- or worse yet, to the quaint and precious- in an attempt to tell the story through imitating the stylistic means of the time itself. Far from undertaking a recreation of twenties-era filmmaking, he instead pulls out all the stops available in the modern age, not only with the aforementioned computer-enhanced scenery and hi-tech camera fluidity, but by using audaciously contemporary conceptual imagery to bring some of the novel’s more abstract literary conceits (the famous “green light,” the ever-watching eyes of the oculist’s billboard, the utilitarian hellscape of the “City of Ashes”) to life in ways that would be impossible- even unimaginable- in the early days of cinema. He even goes so far as to make his movie as a 3D blockbuster- and like Martin Scorsese’s Hugo and Ang Lee’s Life of Pi, The Great Gatsby is an example of how this state-of-the-art technology can be elevated from the level of a mere gimmick to an effective artistic embellishment by a true master of the craft. All this visual opulence has given The Great Gatsby a decidedly dream-like quality, reminding us that what we are watching are the larger-than-life memories of the tale’s narrator, romanticized and heightened by his emotional state; suitably enough, after the parties have ended and the sordid truths have begun to emerge, and the story moves towards its denouement, the golden-hued, luminescent reality of Gatsby’s world takes on the semblance of a nightmare- still the glowing dreamscape, but now tinged with dread, foreboding, and sadness, it is a world in which the shimmering lights taunt us and the fixtures of luxury seem cold and comfortless. For some, this change in the movie’s thrust, from the fast and furious to the slow and sorrowful, seems to make for an anticlimax in which the promise of the first 90-or-so minutes diffuses into a limping, unsatisfying conclusion; this, of course, is precisely the point of The Great Gatsby– the world it depicts is full of people going nowhere fast, riding a whirlwind of careless abandon towards the assumed certainty of an ever-brighter tomorrow, but we know (as Fitzgerald may have, in some way, foreseen) that their overconfident fantasy will come abruptly crashing down with the stock market just a few short years later. Gatsby himself is their champion, a uniquely American figure who reinvents himself in the image he wishes to present, believing that wishing can ultimately make it so, and never permits doubt to enter into his thinking or his plans; anything is possible for him, so he thinks, if he wants it badly enough. It’s a seductive idea, and one which all of us, to some degree, would love to believe in; Gatsby’s failure, then, becomes our own, and Luhrmann’s film does not allow us to deny it within ourselves by distracting us with the continual flash of the previous scenes. In the end, all of Luhrmann’s razzle-dazzle falls away to reveal a stark and sobering human truth, conveying the purpose of Fitzgerald’s masterpiece by providing a full sensory experience which allows it to hit us not just on an intellectual level, but right where we live. Though my own response to Luhrmann’s vision of Fitzgerald’s novel may have been highly positive, it should be noted that others have not been quite so appreciative as I. As mentioned above, reactions to The Great Gatsby have been wildly mixed, unsurprisingly for a film by this particular director. Baz Luhrmann is one of those filmmakers whose personal style is not only unique and unmistakable, but also aesthetically controversial; as a rule, audiences (and critics) either love or hate his work, with very little middle ground. With a sensibility that might best be described as low-rent Bohemian glamour, he is unapologetically operatic, deliberately provocative, and audaciously eclectic; he challenges our expectations and preconceptions by imposing contemporary attitudes onto whatever material he happens to be exploring, whether it be the Renaissance poetry of Shakespeare’s Romeo and Juliet or the Parisian post-impressionist fantasia of Moulin Rouge. His most controversial tactic by far is his prominent use of anachronism in his artistic choices, and Gatsby is no exception. By far the biggest sore spot for most of the film’s detractors is its use of modern-day pop music- rap, hip-hop, “indie” rock- in the film’s soundtrack, a jarring device which directly opposes the visual (if heightened) authenticity of the 1922 world he has so painstakingly orchestrated. To be sure, it seems, on first analysis, to be a blatant ploy designed to capture the attention of the youth demographic so coveted by studio executives wishing to maximize their profits; but as the movie progresses, it becomes plain that Luhrmann, who seamlessly interweaves the contemporary material into the genuine period jazz which accompanies the action, has a more pointed artistic agenda here. The juxtaposition of this familiar “now” sound with the equally familiar (and, for many, dated) sound of the era’s music makes an unmistakable and instantaneous connection between the fast-living partiers which surround Gatsby and the modern-day club culture of which many of the movie’s audiences are presumably a part. With this over-the-top stroke, Luhrmann succeeds in bringing home the point that, though separated by several generations and countless shifts in cultural interest, the people on the screen are, in essence, the same as the people seated in the theater. Though it may be difficult for many to overcome their disapproval of Luhrmann’s choice, it is undeniable that it’s an effective tool, and in truth, there is a sense that the strains of Florence + the Machine, Jay-Z, and Beyoncé are a sort of reverse echo from the future, an otherworldly intrusion that we are meant to hear but to which the characters onscreen are oblivious. Seen this way- and given the fact that Luhrmann has remained diligently faithful to Fitzgerald in both plot and thematic substance, as well as providing a remarkably detailed and authentic recreation of the time and place of the novel’s setting, The Great Gatsby is probably the director’s least anachronistic film. Without question, the star of this Gatsby is its Australian director; but acknowledgement must be made to his fine cast, charged with putting faces to these iconic characters, who manage to rise admirably to the task- one which is made no less difficult by Luhrmann’s sensibilities, which insist on maintaining Fitzgerald’s already-elevated language in a deliberately heightened style. Front and center, of course, is Leonardo DiCaprio’s performance in the title role; he is well-suited to play Gatsby, handsome and confident, but with an innate sensitivity that seems almost to be deliberately- and ultimately, unsuccessfully- concealed. He makes this archetypal American dreamer into a flesh-and-blood individual, whose shining veneer is full of cracks that allow glimpses of the flawed psyche that lies beneath; we get a real sense, from almost his first appearance, that this pretty package contains damaged goods, but his charm and his sincerity- even when he is most obviously putting on a not-very-convincing front and telling the most outrageous untruths- are so engaging that we, like Nick, are naturally drawn in, and we like him despite our ever-growing certainty that he is not what he seems to be. The more we learn, the more we sympathize with him and long for the success of his grand, romantic undertaking, and though this is partly due to Fitzgerald’s skill in creating the character (and Luhrmann’s skill at translating it into film), DiCaprio deserves full credit for successfully bringing what is clearly a deep understanding of this complex figure to his work here. In the difficult role of Nick, who is in many ways an outsider to the story, but upon whom so much depends, Tobey Maguire also does stellar work. Taking clear inspiration from the notion of his character as a stand-in for Fitzgerald himself (a conceit made obvious by the film’s framing device), he gives us a young man with all the manic emotional intensity of a burgeoning alcoholic, indulging in outrageous behavior and introspective intimacy yet always seeming aloof and distant, concealing a surging ocean of depth and feeling behind a faintly bemused, stoic expression. Thanks to Luhrmann’s stylistic window, we are allowed to see past this placid exterior to the poetic soul which fuels the narrative, and when his pent-up passions finally explode forth, Maguire’s roaring performance elevates Nick to his deserved status as the true hero of the tale, rather than the parenthetical necessity so often presented in previous attempts to dramatize The Great Gatsby. Joel Edgerton, stuck with the difficult role of Tom Buchanan, is able to bring out the humanity of this elitist, misogynistic racist, though to make such a pointedly hateful man sympathetic is beyond his- or, perhaps, any actor’s- abilities; Elizabeth Debicki fares better as Jordan Baker, presenting the quintessentially chic, sophisticated, and disaffected flapper in a long, lean package that manages to be likable despite the character’s inherent coldness; and Isla Fisher, though her Myrtle Wilson suffers from having a bare minimum of screen time and therefore pales in (the perhaps unfair) comparison to Karen Black’s standout performance of the same role in Jack Clayton’s 1974 film version, shows us both the appealing sparkle and the desperate longing of this tragic girl who is forced, by both the men in her life, to hide her light under a squalid, ashy bushel. The film’s best performance, though, comes from Carey Mulligan, as Daisy; vilified by so many commentators as a vapid and shallow representative of self-absorbed materialism, the focus of Gatsby’s obsession becomes, thanks to the intelligence of this gifted actress, a real woman, torn apart by the conflicting impulses of her heart and the ingrained conditioning of her social role. Though Fitzgerald’s portrait of Daisy leaves her inner experience a mystery, Mulligan lets us in, and shows us the pain, the fear, and the heartbreak that goes on as she struggles towards making her choice, and plainly shows us that it is a difficult and heartbreaking choice for her; because of this sensitivity and humanity, we can see why Gatsby should want her so badly- the unspoken depth she reveals validates his obsession, and rescues his character from shallowness, as well- and transforms this much-maligned character from a cruel and thoughtless child into as much a tragic victim of the status quo as her would-be paramour. It’s a truly luminous performance, yet subtle enough in detail to go unnoticed and unappreciated by many; full recognition is deserved, however, and this remarkable English performer certainly gets it from me. Ultimately, of course, The Great Gatsby is a movie that is destined to divide; like all revered books, its source novel evokes deeply personal responses in its readers, and it is inherently impossible for an adaptation in any form to satisfy all of them. Coupled with Luhrmann’s love-it-or-hate-it style of cinema, it is inevitable that many audiences would be left cold- or, just as likely, be actively outraged- by this film’s approach. It is unlikely that anything I could say would sway those who dislike it, but for viewers with an open mind and a love for outside-the-box filmmaking, this is a movie that deserves a chance; as a fan of the book, I expected to be disappointed, but instead I found Luhrmann’s version not only exceptionally true to Fitzgerald’s original, but loaded with the kind of passion and insight that thrills me and reminds me why I love movies so much. Is it eclectic and sometimes jarring to accepted sensibilities? Absolutely, and that’s one of the reasons it worked so well for me. Most of all, though, it is the work of a bold and consummate artist who was driven- by his own love of the material- to create a lavish and definitive representation of this resonant literary touchstone, and though I can understand why some may take exception to a few of his personal touches, for me it is beyond question that he has succeeded, far beyond reasonable expectation. Baz Luhrmann has managed, after 87 years, to finally give us a film that conveys why The Great Gatsby is, truly, great.